Lightning Limos is a Santa Clarita based business that is dedicated to providing the utmost in quality transportation services. From the moment you contact our offices, you will see how attentive and client-oriented our staff is. 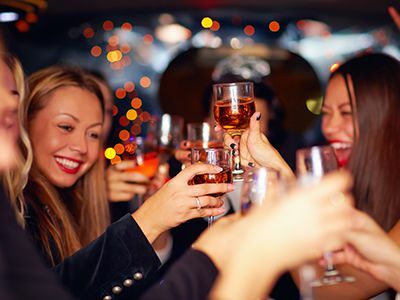 Events, parties, and gatherings can be some of the most unforgettable and special times of your life, and the hassle of travel and transportation can often make them more stressful than they should be. We can help to eliminate that stress with our chauffeur service. Our vehicles can accommodate parties of almost any size and are perfect for any type of event you can imagine. We are committed to getting you smoothly to where you need to go, all while you enjoy a luxurious and relaxing ride. Would you like to get a quote for limousine or party bus chauffeur service? Contact us today! We are completely dedicated to pleasing our customers. When you book with us, we pledge to give you the professional, personable service you expect and deserve. Our drivers will always arrive on time and with a vehicle that is spotlessly clean, both inside and out. Lightning Limos Santa Clarita rental service can cater to anyone's needs, including corporate clients and all other types of private clients. There is no better way to make an impression and treat your guests than a smooth, elegant ride to your destination. Our vehicles come with a variety of exciting features, including deluxe sound systems, bars stocked with refreshment, televisions, privacy partitions, and more. For your convenience, we can transport you anywhere you need to go in Los Angeles County. At Lightning Limos, we go out of our way to ensure that every last detail of your event will be organized to meet your needs, and we will help you have the smoothest and most enjoyable experience possible. We are happy to arrange any situation you might desire, all while providing the utmost in customer service. Because each client's needs are different, we can provide a specific quote for you. We encourage you to call in and tell us about your plans. It would be our pleasure to provide you with the luxurious, smooth transportation that you need to make your event or travel experience perfect. Call (877) 941-0775 today to reach Santa Clarita's premier limousine rental service!